Yesterday was a wet gloomy day. As my daughter came back from school, she was rummaging through her snack cabinet trying to make a choice between chips and cookies. Had me thinking there's got to be something junkie enough for her and healthy for me to make and serve her. Bingo! 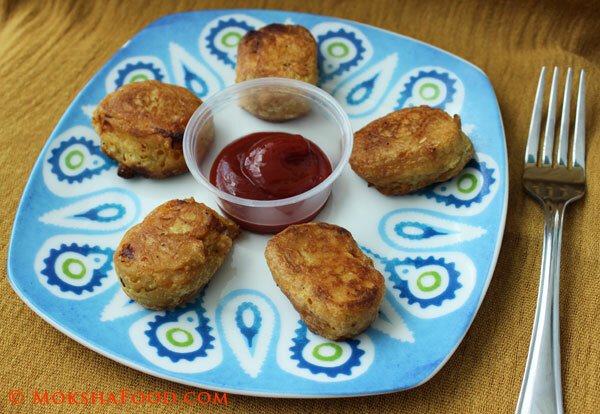 Some hot fritters to cheer up this gloomy day. Healthy quotient was Paneer (Indian cottage cheese). She fell for the bait. Gobbled them all as soon as they were warm enough to hold onto. Daughter's happy Tummy makes happy Mommy! 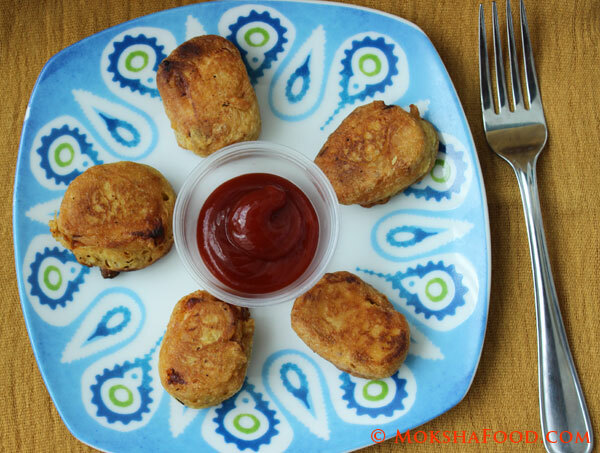 My daughter may have christened them vegetarian chicken nuggets but in reality these are a favorite Indian snack called Paneer pakodas. Paneer is fresh cottage cheese which can be made at home or store bought. It is dipped in a spiced chickpea batter and fried till golden brown. Gluten free delicious after school snack which left her asking for more. 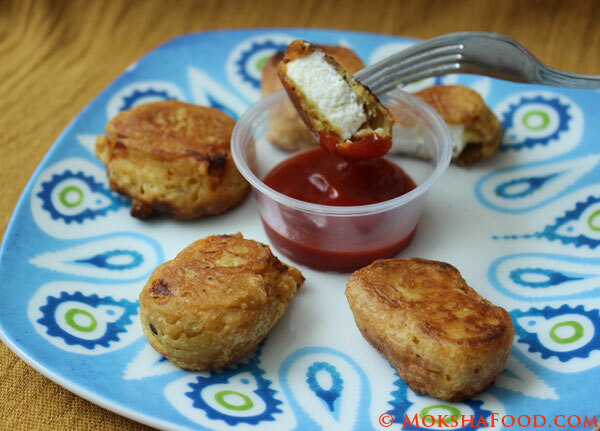 Paneer Pakodas are a favorite tea time snack. Hot piping pakodas served with an array of chutneys and cup of hot masala tea. Perfect combination for a rainy day. In a bowl take the chickpea flour. Add water, little at a time till you reach the batter thick enough to coat the paneer slices nicely. Heat up oil in a wok /kadhai. Collect a tbsp. of hot oil and add to the batter. This helps to crisp up the fritters. Dip each paneer square in the batter and coat evenly. Drop in hot oil and fry till golden brown. Repeat same procedure with other pieces. Paneer is a great source of calcium and chickpeas is a good protein source.